This platform will allow for reduced delivery time to minutes, transaction expenses and error risk - almost to zero, and the volume of required documents - down to the barest possible. 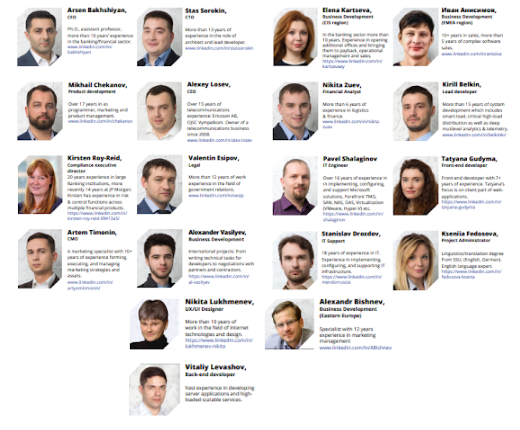 The project was developed by a team of professionals, based on their own experience and the international experience of the specialists. Our task is to create products that enable both individual companies and all countries to free themselves from their dependence on existing external external economic and financial controls, but not in violation of local laws or laws of the partner's country of residence. The platform is implemented as SaaS and as a "box" solution. The SaaS format allows system participants to interact freely, make payments almost instantaneously, and ensure the implementation of obligations through smart contracts. The box solution is represented as a stand-alone system with the ability to connect to a global platform via a convenient, broad API. Exchange trading services (for Brokers, manufacturers and purchasers of goods): Agricultural exchange (meat, fish, corn), commodities and raw materials exchange (oil, coal, gold) and currency exchange (fiat currencies and digital instruments). Soft Cap - The Soft Cap is 3,000,000.00 GBP. 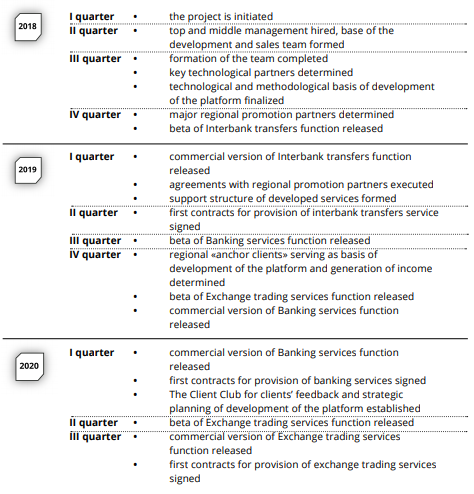 Alongside with the ITO activities, the company is seeking to raise money from venture funds and individual investors. Hard Cap - equivalent of 32 million GBP. According to our current business plan, this amount (taking into account the costs of system development, marketing, promotion, etc.) will allow the project to recoup the borrowed funds within the required period and start making profits. 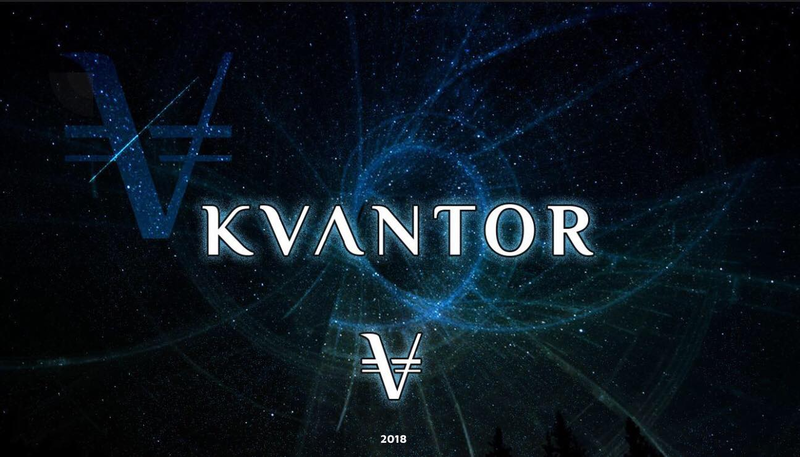 From 26.04.2018 to 25.05.2018 - 20% of KVANTOR tokens are sold. Within this phase, the tokens are sold under a private pre-order (Private Token Sale). Tokens can be purchased by sending an e-mail to ceo@kvantor.com. 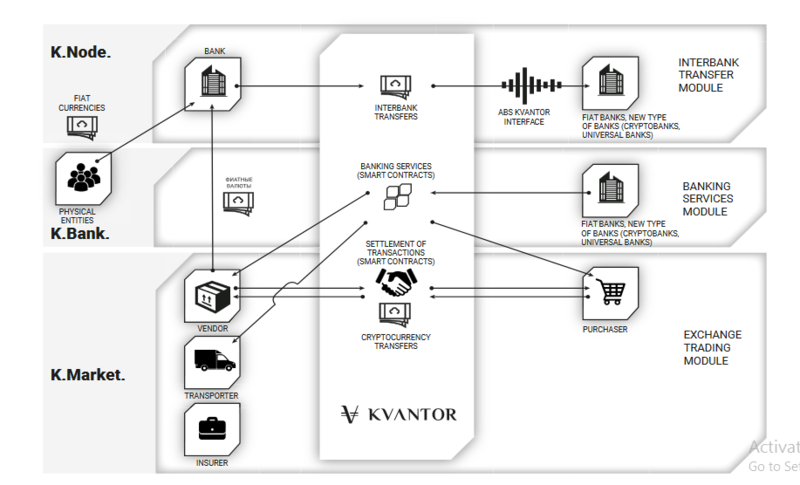 From 25.06.2018 to 24.07.2018 - 40% of KVANTOR tokens are sold.